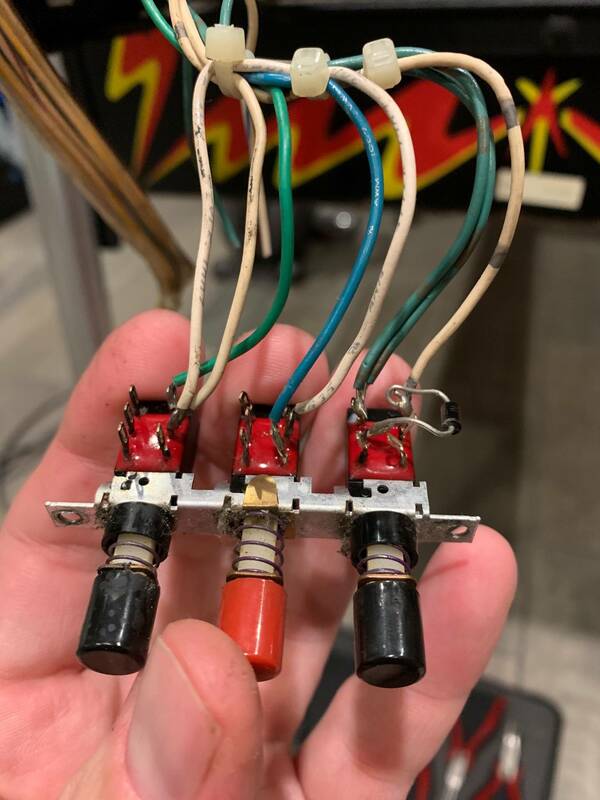 Can anyone help me figure out how to wire up my PinBot for a new coindoor? 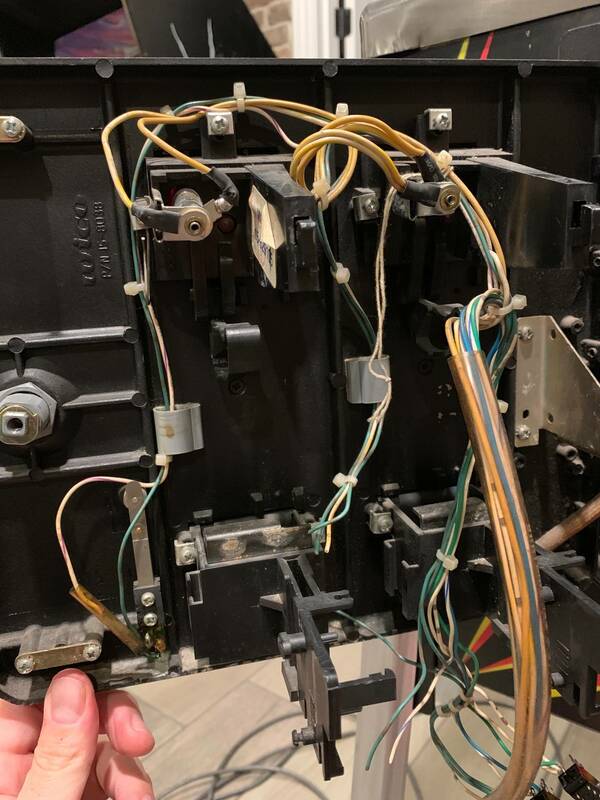 I bought this door on PinballLife (https://www.pinballlife.com/williamsbally-coin-door.html) but I cannot figure out how to wire it into the existing harness. I figured out which two are for the lamps . I would remove the harness from the new door. Then move the old harness and diagnostic buttons onto the new door. Not much to figure out, mark where the old wires came from. Lights, tilt, coin switches. Otherwise if you want the new harness, same thing. 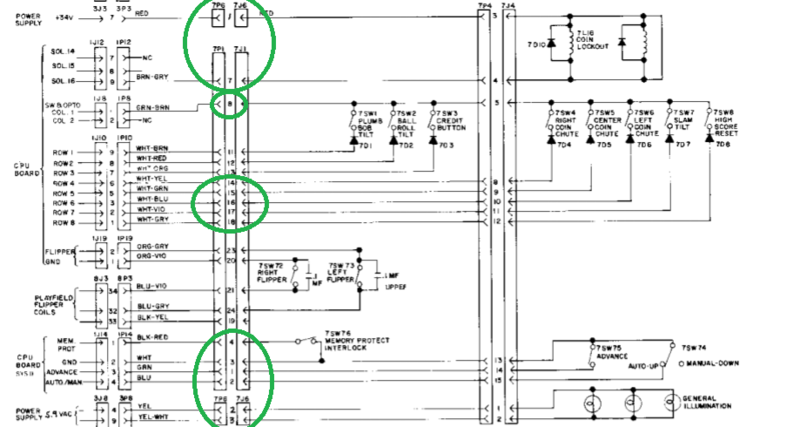 Wires only go to certain spots on each door. Follow them. Lights, tilt, coin switches. I would recommend taking ltg’s advice unless you want to build an entirely new wiring harness for the door. 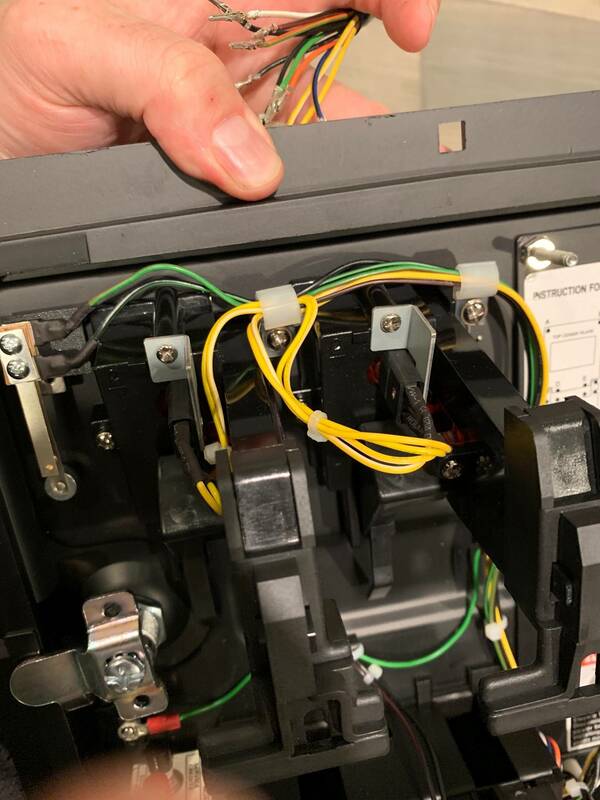 That door is for newer WMS machines, not Sys 11 so the harness on there will not connect to your Pinbot without modification. In the process of restoring my High Speed I replaced the coin door with a new one and built a new wire harness that would connect into the cabinet wire harness. It looks great but it was a lot of work! I already pulled the molex and put pins on all of the new lines from the new door. There are 11 lines on the new door, and only 10 on the old. When I look at the lines on the old door I start losing my mind because the colors of wire are like exactly the same for everything! I think they strung a lot of common power across everything. I’ll stop being lazy and break out my meter. I was just trying to see if someone already had it. After I am done I can document the color matching. Nobody likes a lazy pinhead! Did you remove the 3 switch bracket from the original and transfer it to the new door? No, do I need to? I figured I could wire it to the new one. Is that not possible? Don't you think the extra switch will get confusing? 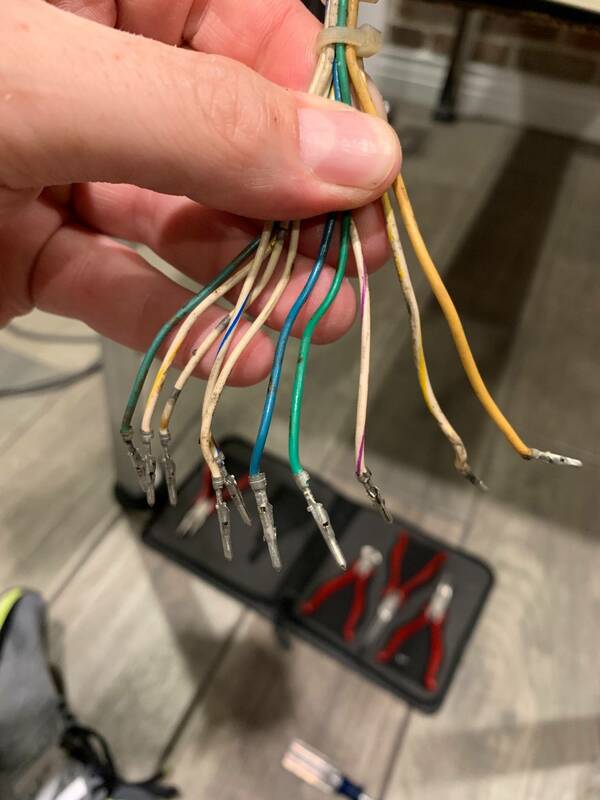 Here is the 14 wires that need to be connected. Now that I looked again, you need 12 wires. New door doesn't have a center coin chute. The memory protect interlock switch is in the cab and not on the door so one less wire. That doesn’t seem right. I’m dealing with 10 wires on the factory harness. Basically I have the following. I’m dealing with 10 wires on the factory harness. 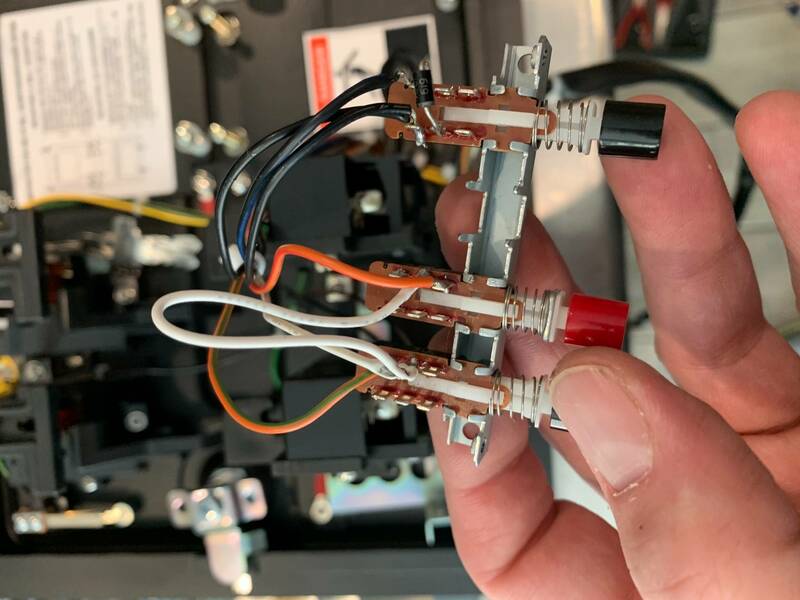 You are missing the coin lock out solenoid wires, a red wire and a brown/grey wire. Download a Williams DMD erz manual from https://www.ipdb.org/search.pl and sort out what goes where. I think you may be over thinking this and making it harder than it should be. Something similar to this was asked previously. Not sure if information in the thread will help you. I ended up cutting and rewireing the new coin door. 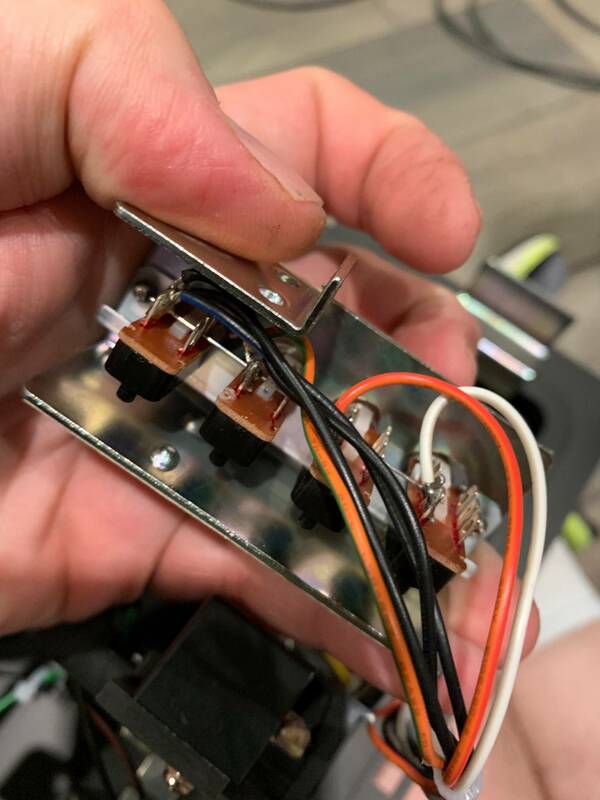 I wanted to use the new adjustment switches which required a hello of a lot of soldering. The new switches only trigger on the pass downward then stop once they are fully depressed. 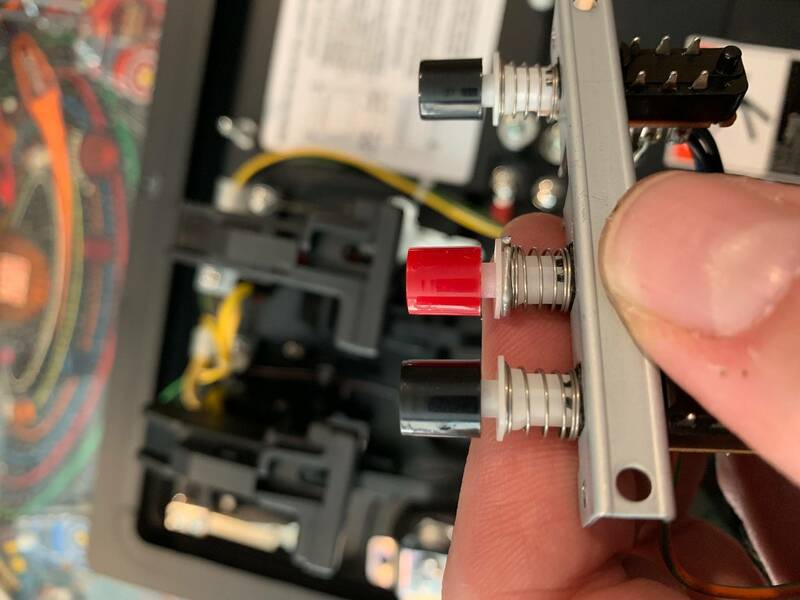 I had to invent a way of stopping the one switch right where it was “hot” on so that I could simulate the auto-down when holding it. I used a carefully folded paper clip, then changed the wiring on all of the other switches. Long story short, it is working now.